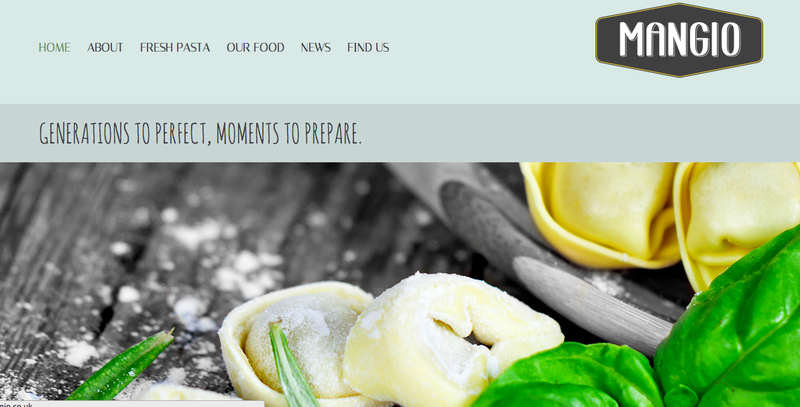 Londonicious #6: Mangio Pasta & Bottega. I have recently entered the “office life” in central London but I am lucky enough that I usually don’t have to think about my lunches because the company I work for is providing them. Sometimes though, I like to go out for lunch anyway. Sushi is definitely on top of my list, with “Wasabi” just round the corner, but last week a new little shop caught my attention. It is a small corner shop called “Mangio“, the italian word for “to eat”. Being very Italian, I obviously went and had a look at it and I found out that they make fresh pasta to take away. And when I say they make it, I actually mean they make it from scratch in their lab. The food offer works like that: there are three types of pasta and three different sauces and you can pick and choose whatever you like. Yesterday they had “ricotta and spinach raviolli”, gnocchi and tortellini with different fillings and then three sauces like: the classic tomatoes and basil, mushroom and sausage and a cheesy one. I am currently trying to avoid cheese so they had another option for me: pasta e fagioli soup, literally pasta and beans soup. It is a big classical in Italy, specially known between mothers and grandmothers. It is a tasty and easy to make soup, but since I wasn’t convinced about what to choose, the very nice guy working there gave me a sample. No need to say I choose the soup after trying just the first spoon. Prices are great (£4 for the soup with two slices of bread, £5.80 for the pasta and there’s also a meal deal for £7.50) and there are also salads and sandwiches on the menu. Go on then, the little shop is located in 30-32 Knightrider St, London EC4V 5JT, just on your way to the Millennium Bridge if you’re coming from St. Paul’s. NextThe importance of loving yourself very much.